Included here are all pictures of fleet supply ships and troop transports. These pictures are published for pleasure/information/research purposes only and are not for sale or copy under any circumstances. Information in captions has been researched as thoroughly as possible but it accuracy cannot be guaranteed. 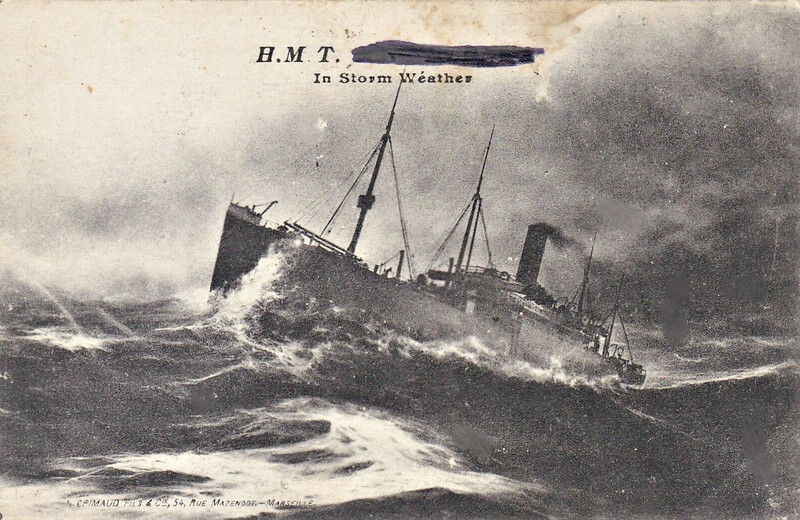 1915 to 1918 - HMT MINNETONKA - Troopship - 13397GRT - 183.1 x 20.0 - 1902 Harland & Wolff, Belfast, No.339 - 1915 requisitioned as HMT58, 30/01/18 torpedoed by U64 40nm ENE of Malta, carrying mail from Port Said to Malta, no troops aboard, 4 crew dead.